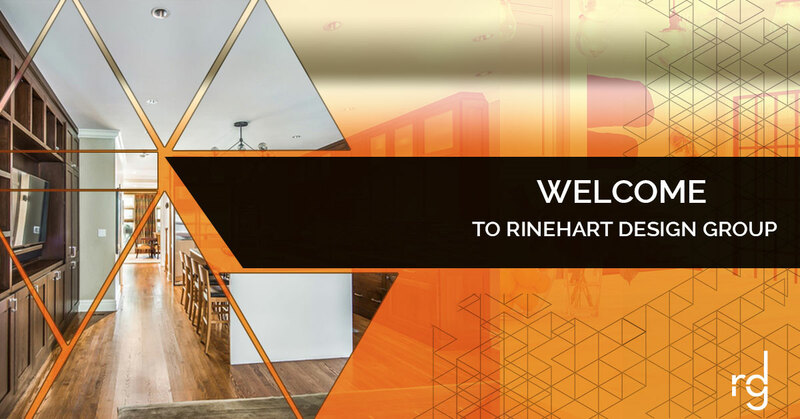 Welcome to the Rinehart Design Group blog! Here, we will be posting helpful information, tips, and inspiration for you to use in your home improvement projects, from master suite remodels and living room renovations to brand new kitchen designs with handmade custom cabinetry. As the Top Rated Local® interior design company serving homeowners in Florida, North Carolina, Chicago, and Atlanta, Rinehart Design Group is dedicated to helping clients transform their home into a luxurious sanctuary. Continue reading to learn more about us, and give us a call today to schedule an appointment! Rinehart Design Group is respected as one of the best interior design businesses in the industry, and with more than 21 years of experience bringing hundreds of stunning home design ideas to life, we couldn’t agree more. Our specialty is luxury home designs that incorporate the latest interior design trends with unique home decor, furniture, and custom wood cabinetry that speak to your own, one-of-a-kind style. Each of our interior designers and craftsmen bring years of experience, skills, and valuable home design ideas to the table, working closely with clients to create their dream home. For us, home improvement is more than just a chance to get creative and redesign living spaces — it is an opportunity for us to give you the luxury home you’ve been dreaming of your entire life. When you choose Rinehart Design Group to create the home of your dreams, you can rest assured that you are working with some of the best interior designers in the business. But don’t just take our word for it — check out our portfolio for examples of our finest work! We treat each and every kitchen, living room, and master suite design project as if we were creating our own dream home, from the initial planning phase to adding the final touches. Plus, we have strong partnerships with some of the best home remodelers, custom builders, and architects in the area, who are more than happy to bring their home design ideas, industry knowledge, and fine craftsmanship to our home design projects. As the preferred interior design company serving residents in North Carolina, Florida, Atlanta, and Chicago, Rinehart Design Group brings decades of experience to every home improvement project we take on. Yet what really sets us apart from the competition is our high-end home designs and a focus on creating luxury dream homes, rather than simply upgrading your space with the latest features. Because of this, our interior designers and industry partners pour hours upon hours of thought and creativity into your home design project in order to create a one-of-a-kind, luxurious space that you can truly call your own. Plus, we include you in every decision so that your unique vision and home design ideas are fully reflected in the final product. In addition to our sophisticated home designs, the Rinehart Design Group also has a talented team of custom cabinet makers who lend their keen eye for kitchen cabinet styles and passion for custom woodworking to each of our home remodeling projects. As professional interior designers, we know better than anyone how important it is to invest in high-quality kitchen cabinets for your kitchen remodel, so we’ve taken it upon ourselves to find the very best cabinet makers to build your maple, hickory, or oak cabinets from scratch based on your unique kitchen design ideas. Check out our gallery of residential work to see what our custom cabinet makers are capable of! Now that you have a better idea of who Rinehart Design Group is and what we have to offer, it’s time to start bringing your dream interior design ideas to life! Contact us online or give us a call today to schedule an appointment with our design team, where you’ll be able to share your home design ideas with us and break ground on that luxury home you’ve always wanted. Our interior designers believe that everyone should be able to live in their dream home, and Rinehart Design Group is here to make it happen. We look forward to taking on your home improvement project and giving you the luxury home you deserve!